No matter what your marketing resolutions this year – more content, better creative, etc. – no improvement matters if you can’t measure it. Since email continues to be a dominant channel for most B2B marketers, let me suggest that a good candidate for #1 on your “to do” list for 2015 is to improve the way you measure email campaigns. Improving email campaign measurement won’t generate more leads or better leads, in and of itself, but it will help accomplish both those goals by providing the data necessary to identify what’s truly working. Unless you’re measuring true email performance – no change you make to copy, design, mobile-friendliness, offer, deliverability, etc. will matter because you’ll never know if those changes are having a genuine impact. As a B2B agency, our firm creates and executes dozens of email campaigns every month, and that experience tells me that a large percentage of B2B marketers, even at companies that otherwise do a very sophisticated job at demand generation, fail to measure or compare email campaign performance using any metrics other than opens and clicks. News Flash: opens and clicks do not measure the success of an email campaign. The only way to really gauge email success is to measure the impact that leads generated by a campaign have on pipeline and revenue. Nothing else really matters. A campaign can generate a phenomenal open rate, an astonishing click rate, and even hundreds of leads, and yet contribute virtually nothing to the business. Conversely, an email campaign can “fail” at all of those metrics and yet make a real impact on the bottom line. • a combination of marketing automation and a full-function “marketing performance management” solution such as Full Circle Insights, an application that lives within Salesforce. Solutions like Full Circle enhance the sync between marketing automation tools and a CRM database to ensure that every marketing response is captured and measured, and provide detailed funnel analysis (including metrics like lead velocity and conversion rates), end-to-end results for every program, and more detailed insights into how marketing campaigns impact and influence pipeline and revenue. 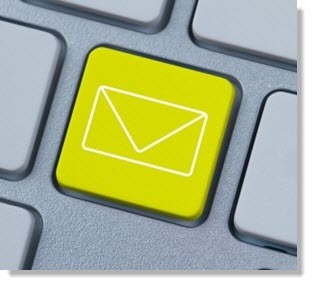 Here then is a list of the types of metrics one can use to measure email campaign success. Think of these on a spectrum (from top to bottom). At the top are basic email metrics that measure little other than reader engagement. As you move along the spectrum, you get closer and closer to metrics that reflect revenue performance, and thus the true success of the campaign. Opens, clicks and leads can be thought of as measures of volume – the amount of response that a campaign generated. Leads are a far better measure than clicks – people click on a whim, out of idle curiosity, even by mistake. Leads are at least a measure of genuine interest. However, not all leads are created equal. Most would argue 100 Webinar leads are worth more than 100 White Paper leads. So even measuring response rate doesn’t tell the whole story. Definitions for Marketing Qualified Lead (MQL) and Sales Qualified Lead (SQL) vary by company, but regardless of how you define the terms, tracking how many MQLs or SQLs a marketing campaign generates is a step above lead volume or response rate because it distinguishes those prospects that at minimum meet basic target criteria (MQL) or are deemed by your sales force to be worthy of a meeting. MQLs and SQLs can be useful measures for companies with complex products and long sales cycles, because they provide a picture of campaign success more immediately than would be the case waiting for leads to enter the pipeline or close as deals. At the end of our spectrum are the metrics that really matter. First, the value of opportunities in the sales pipeline that can be shown to have originated from, or influenced by, a campaign. And best of all, the revenue that the campaign delivered to the business. Only a few years ago, measuring campaign ROI was a pipe dream for most B2B marketers. Now, you simply need the right tools and the patience. Measuring true revenue performance can be an investment in people, time, and technology. Even if you don’t yet have the tools in place, strive at least to move your campaign measurement in a direction that gives you a clearer picture of which campaigns, programs, offers, and channels actually work. If you’re only measuring clicks, strive to measure actual response rate. If you’re measuring response rate or even MQLs, take the plunge and join an elite group of B2B marketers who have a complete and accurate picture of email campaign success. This entry was posted in B2B Marketing, Campaign Measurement, E-mail, email marketing, Marketing Automation and tagged b2b demand generation, B2B email marketing, b2b email marketing agency, Demand Generation, eloqua, email marketing, email metrics, full circle crm, marketo, mql, pardot, sql on January 13, 2015 by Howard Sewell.